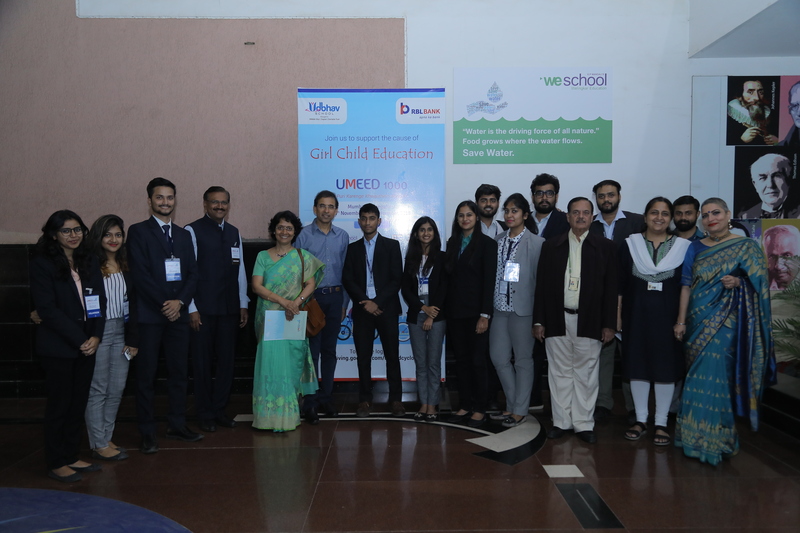 WeSchool partners with IIM Alumni Association to raise money for the cause of girl child education. The opening ceremony of Umeed 1000 Cyclothon 2018 took place on its Mumbai campus. The event was graced by the presence of Cricket Commentator, Harsha Bhogle along with the key members of RBL Bank; Jasmeet Gandhi, Lead Cyclist; H. Sitaram, Correspondent, Udbhav School (beneficiary); distinguished alumni of IIM Ahmedabad Alumni Association, Hyderabad Chapter and Dr. Prof. Uday Salunkhe, Group Director, WeSchool. Umeed 1000 Cyclothon is a CSR initiative organised by RBL Bank which sees participation from educators and corporates from across the country to support the cause of primary level education in India. All funds raised from the event will be invested in educating over 900 underprivileged children at the Udbhav School established by the Hyderabad chapter of the IIM-A Alumni Association.